I'm in heaven! 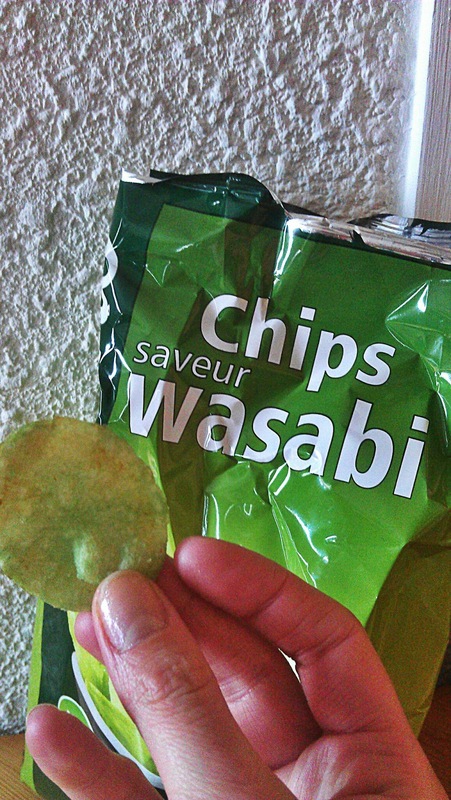 Vacation, snow, love, friends, good drinks and food.. and now Wasabi chips! Vive la France! The best chip ever made, in my opinion. I have to figure out, how I'll make them start producing these back home..?! After tasting these, I'm hooked! 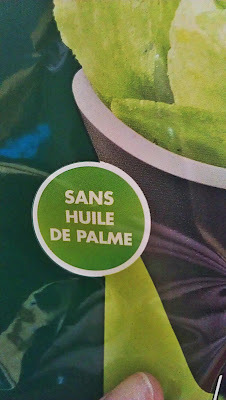 And the best thing is, it's produced without using palm oil(the reason some people destroy big areas of rainforest to produce, damaging our environment and the lifes of the people trying to protect the rainforest). 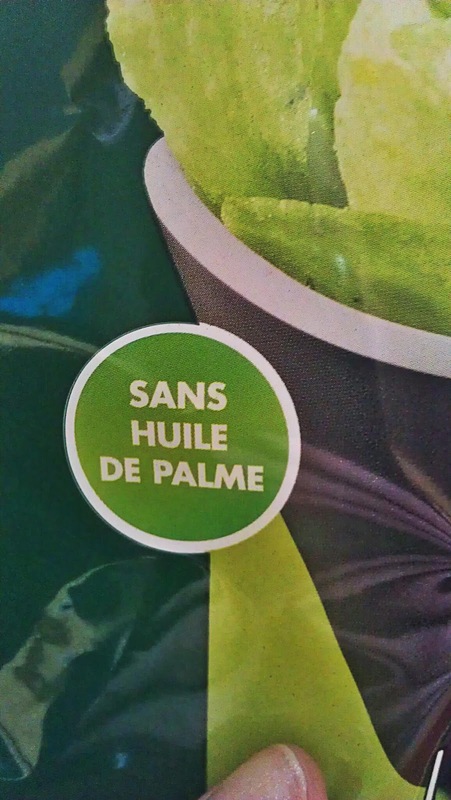 You should always check your groceries-if they contain palm oil, don't buy it. Choose another one! Oh and yeah, the chips really are green. Wasabi green and amazingly delicious! 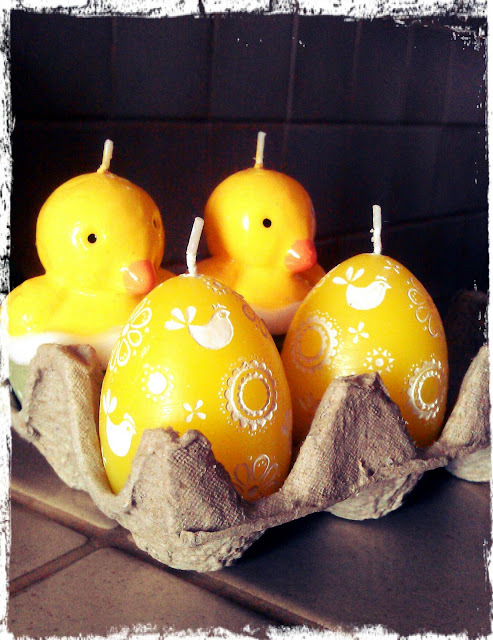 I just wanted to wish you a Happy Easter! Sorry about the fewer blogposts, but vacation is vacation. ;) Enjoy the holiday! I have found it very good to boost myself with tasty smoothies recently. Especially when I've had a long day in school, after work or just as a pause for energy when I'm working with my project at home. The best time is after a workout. It feels like a good way to pat oneself on the back for the hard work. What it contains, depends on what I have at home.It's easy and packed with healthy berries and fruits, preventing me from getting sick(at least I've made an effort to prevent it!). We bought a blender a while back, and that was a fantastic choice! I'm using it several times a week. My favourite right now is with mainly banana, blackberries and gooseberries. And then I add just a little bit of ginger and cinnamon. Mmm.. yummie! (As the french say - I miss you) I miss that man. But soon we'll be enjoying a vacation in the Alps and then a few days in Copenhagen. A very good way to end this long wait!It's good also that he's coming home, so we can get cracking on the wedding plans - or to enlight him of the plans already made! Nooo, just kiddin'.. I'm not that Bridezilla yet. I just have A LOT of ideas to share with him! ;D If you're curious of some of my wedding ideas check out my Pinterest board 'Wedding plans'. By the way, this lovely mirror was hidden in my parents garage.. together with this colorful pillow! Ohh, I love my parents garage. It's been my gold mine for years.. It's like a Mary Poppins-bag, interesting things just keep on popping out of it! Found this old beer case from the Swedish brand Pripps. It's retro, it's green and it's fun! But I haven't really found it's purpose in the appartment yet, but that usually doesn't take long. That's the exciting part with getting hold of old/vintage stuff - reuse and repurpose! I mean I'm not going to stack beer in it(maybe on a special occasion..), this old case got potential! I have cut off some branches from my Grandmother's grand Larch tree. A few of them I just placed in a vase. But I've been missing some kind of decoration on the wall. So I felt like making this! It's really easy, you just need.. Well the tree branches of your choice of course! Use some pruning shears or a knife for the cutting. Then some steel thread or wire - and form a base at first for the circle form to go by and then attach the branches on it. After that you just intertwine the branches like you want them. To make the branches as bendable as possible, it's best to soak them in some slightly warm water for a while(at least 30 minutes, but other types of trees may need more time. Larch is quite flexible already..) before you start the process. Then just leave over the night so it can dry up.. At last place it somewhere appropriate or like in my case, hang it on the wall. Hoo Hoot in the cupboard! Fresh nature inspired mugs! Me Love! I was supposed to buy two. I got persuaded to buy four by my friends..(I'm weak! But they were just so adorable, the mugs and the friends..!) But I think it's safe to say, I am not going to regret buying these.